For many job seekers, gaps in employment history may pose challenges in the job application process. While gaps in employment may be viewed negatively by hiring managers, they are not insurmountable obstacles. With a little ingenuity, most job seekers can address these gaps in a satisfactory manner and land a position they are pleased with. If you are applying to open positions and have gaps in your employment history, here are some ways you can address those gaps. The best technique for your specific situation will depend on the length of and the reason for the gap in employment. Gaps in employment that are only a few months long may be addressed by slightly adjusting the dates on your resume. Dates of employment should always be included on a resume (not including them will raise even more issues than a gap does), but the format they are included in is flexible. If you have a gap or two of only a few months, format your employment dates in seasons, rather than months. This format acknowledges gaps in employment history, but it emphasizes the applicant’s strengths more than experience. Depending on the reason for a gap in employment, it may be advisable or unadvisable to disclose it. Obviously, if you were incarcerated or became disabled, then you should not include this reason on your resume. If necessary, it is better to explain this in person than on a paper. Employers, however, are prohibited by law from asking about disabilities. If the gaps in employment history come from caring for a family member or raising children, though, you might want to mention this. This information should not be included on your resume, but it can be included in a short, well-crafted statement on your cover letter. Gaps in employment history should not prevent you from applying for positions you would like. They are a challenge, but a savvy job seeker will be able to address these gaps and land a good job. The most difficult aspect of finding a new job for many job seekers is learning how to write a resume. Your resume is a one or two page summary of everything that makes you the best candidate for a job. You have to put your best foot forward and include all the relevant information that a hiring official would need to know and convince them to give you an interview. In addition, many businesses are using computerized software that scans your resume and looks for keywords. Keeping your resume relevant to the job opening allows them to find you in a sea of qualified (or not-so-qualified) applicants. You have to determine how to write a resume that will capture the employer’s attention and garner you and interview. * Easy-to-read. Choose a format for your resume that is easy to read. Chronological order is a very popular format for resumes. 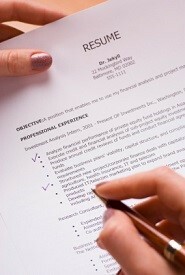 Divide your resume into sections (eduction, experience and specific skills related to the job are popular divisions). 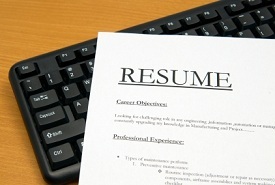 Many hiring officials scan resumes and don’t read and digest every line on the page. Use a simple format to allow the keywords you use to stand out and grab the employer’s attention. * Concise. 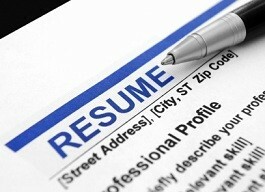 Until recently, the common standard for resume length was one single-spaced typed page of information. Although one page is preferable, most people have advanced degrees, education and relevant experience and one page just isn’t enough. If necessary, two pages is now acceptable for most jobs. Compile a list of all your education, past jobs and skills that are relevant to the position for which you are applying. While you may have other experience and education that is great, if it doesn’t apply to this particular job opening, leave it out. For example, the hiring official for a job opening for an English teacher really doesn’t care that you have a CDL (Commercial Drivers License). Likewise, the hiring official for a position where you drive over-the-road really won’t care that you took a 40-hour course in cosmetology. Since your space to advertise yourself is limited, include only relevant information so you don’t overwhelm the person reviewing your application. * Sample Resumes. Creating a resume from a blank page can be nearly impossible if you don’t have experience creating resumes or an outline of a resume to get you started. The best way to determine how your resume should look is to find free sample resumes or resume templates and base your resume off them. You can find sample resumes and resume templates online or in many books for job seekers at your local library. Many books also feature an outline of a resume for you to use to help you create your own resume. The best place to go for advice on how to write a resume is a professional resume writer that specializes in services for job seekers. Here at GoGetterCareers.com, we can connect you with resume writers that will write you a resume that will grab the attention of the employer and help you land the job. Contact us today to get started! For more information on how to write a resume, please reference the material below. If you are looking for a career in the IT field, it is important to prepare yourself for your interview with a list of common IT Interview Questions. 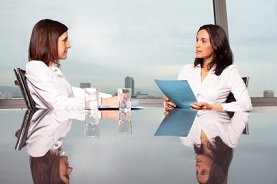 This will enable you to shine in an interview so you can land the job that is right for you. When you are preparing for your interview, it is helpful to compile a list of common Information Technology Interview Questions to help you get started. You can use these technical interview questions and IT Interview Questions to help you create answers that you can easily use during an interview. A typical session of Information Technology Interview Questions starts off with IT Interview Questions about your education and where you received your degree. Keep this specific to your IT education, unless the interviewer wants you to expand on other education opportunities that you have taken advantage of. This will allow the interviewer to get a grasp of what you have learned through formal education, and when your received your education. This is especially important to the IT field, as technology is constantly changing and adapting to meet new challenges. Other important technical interview questions involve your experience in the Information Technology career field. Prospective employers want to know what systems and processes you are experienced with, so they can determine whether you will be a good fit for their IT department. Note that it is not necessary that you work with the exact hardware and software that they use in their company; just that you have a grasp of the concepts and processes of similar systems. If you have other skills and knowledge that are not covered in the education and experience portion of the IT Interview Questions, the interviewer will most likely allow you an opportunity to discuss these before the interview concludes. It is important to put your best foot forward and show the interviewer what you can bring to the company, so don’t forget to showcase these things. When you are looking for a career in the Information Technology career field, it is important to fully prepare yourself so you can stand head and shoulders above the competition. Thorough preparation builds confidence and translates through your answers to show the prospective employer what you can bring to the table. If you are looking to gain interview and resume skills or improve on your current skills, there are many resources available to you. You should target your resume for jobs in the Information Technology field and then make sure you are prepared for an interview. This will help you land the job that is right for you. About.com lists a number of useful resources including IT Interview Questions for specific technical jobs which can be found at the IT Interview Questions for Technical job’s page. Additional information regarding Information Technology Interview Questions including free sample interview questions, employer interview questions that include Technical Questions can also be found at About.com’s, IT Interview Questions page. 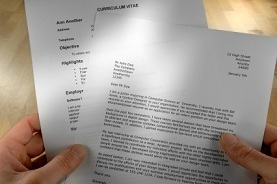 Cover letter templates can serve as a guide for creating cover letters. 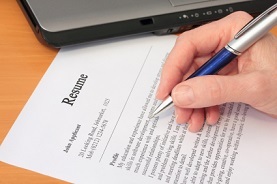 When applying for a job, it is customary to include a resume and a cover letter. The cover letter can actually be as important or even more important than the actual resume. This serves as a brief one-page advertisement of you, letting the employer know just why they should hire you and what you can bring to the table that other applicants can’t. Using the proper format, or utilizing a cover letter template, can mean the difference between getting the job you want and being passed over for another applicant. What Are the Benefits of Templates for Cover Letters? Cover letter templates help you to ensure that you have the proper cover letter format. They also prompt you to include the relevant information that an employer needs to see to make you their first choice for hiring. These templates can also save you hours of time; they eliminate the need to start from scratch with every letter. You can simply change the relevant information in the letter for each job you apply to, and there is no need to compose a brand-new cover letter for each job. Where Do You Find Cover Letter Templates? You can find these templates in a variety of places. Books for job seekers are a great starting place. You can obtain these books online, or if you are strapped for cash, check out your local library; every library has a section of resources for job seekers. You can also find templates for your cover letter online. When doing a search, you will come up with millions of pages of results, so be very careful when choosing a template for your own use, and look through many before settling on a few that meet your needs. 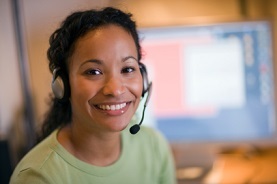 You can also enlist the services of an employment agency or career center to help you with this task. How Many Templates Should You Have? You should have a couple of cover letter templates on file. A good rule of thumb is to have one general template that can be tweaked for any type of job that you choose to apply for. Then, if you are applying for several different types of jobs, have a template for each type of job. You can then change the relevant information each time you use the template, and a lot of work will be eliminated. 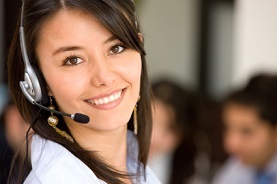 If you are currently looking for a new job or a better job and need assistance composing a cover letter to send along with your resume, GoGetterCareers.com can help! We can assist you with your cover letter and resume, and connect you with professional resume writers, as well as every other aspect of the job hunt. Some examples of cover letters can be found on About.com under Resume and Letters. GoGetterCareers.com also offers cover letter templates that you may download and use to create your cover letter.